It’s not the mega cheap shoulder-season gem that is September, but January is still a pretty stellar month to get outta town. Most people are all traveled-out after the holidays, plus feeling the pinch of a credit card bill with an extra page. And yet your vacation days have been conveniently restocked! The sheer variety of potential getaways has never been greater. Fly south for tropical beaches and that heady “wait, what month is this?” escapism; or go north, headlong into winter, for majestic mountains, cozy cabins, and après-ski. It can seem daunting, especially if you’ve been traveling in November and shopped for destinations to shake up the December holidays. But if you’re feeling that touch of wanderlust this January, here are eight spots where the first month of the year is also the best time to visit. 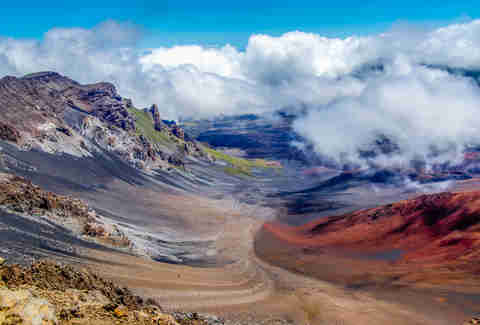 It’s not like there’s a BAD time to go to Hawaii, but January can be particularly pleasant on Maui once the holiday crowds disperse and the island is even more chill than usual. Fewer visitors means you can stroll the salmon-pink sands of Makena, one of the world’s most beautiful beaches, in relative peace and quiet. And with flights to Hawaii finally catching up to Europe in the slashed-fares department, what better place to ring in the new year than the Aloha State? Heck, you can even get an almost-free flight there if you know how to work the credit card system. If you’re into golf -- or, more specifically, into watching people who are really good at golf -- the PGA’s Sentry Tournament of Champions descends on Maui the first week of the year, open only to golfers who won a PGA tournament in 2018. But with the ocean and mountain scenery on the Plantation Course in Lahaina, you might not even care who’s playing. Festivals in Canada are a legit travel bucket-list item, and Quebec City, with its charming winding streets, is one of our favorite cold-weather locales. When covered in a blanket of snow, it looks like a much chillier Disneyland, and is about as French as you can get without actually going to France. You might just want to move there, the city is so atmospheric; the Québécois are also highly skilled at kicking the winter blues and making it fun. 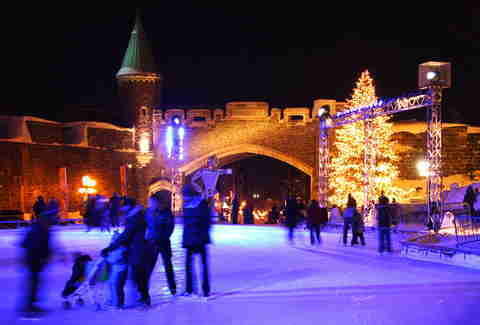 Just down the St. Lawrence in Montreal there’s IglooFest, a 375-year-old festival at the city’s Old Port that brings live music on the weekends from January 17 to February 2. In addition to performances from the likes of Above & Beyond, Chris Lake, and Diplo, the festival has live outdoor showings of Slapshot (the far-more-vulgar, dubbed Québécois version) where crowds dress up as characters from the movie. Tickets start around $16.50 USD. Florida makes for a great getaway any time of the year that isn’t August. Sure, you can relax on one of the best beaches in the world at Siesta Key, or hit the Undertow in St. Pete Beach for beers on the sand -- but those spots aren’t going anywhere. Come January 19, the place to be is Tampa, when it hosts the annual Gasparilla Festival. The festivities honor José Gaspar, the former Spanish naval officer-turned-pirate who may or may not have terrorized the waters around Tampa Bay. Historical accuracy kinda gets pushed aside, though, to make way for the third-largest parade in America. It’s a daylong bacchanal of folks dressed in pirate attire that spills over into the bars at night, like a second St. Paddy’s day for Florida’s bay area. And the calming waters of the gulf are just a short drive away, the perfect anecdote for a post-pirate festival hangover. The obvious draw for a Utah vacation in January is the skiing, and we’re not gonna lie, that’s the No. 1 reason to go. 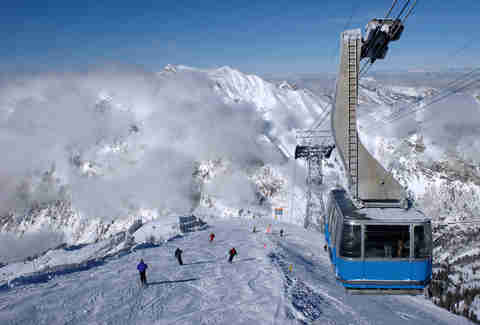 But Utah is a big state, and even if the slopes aren’t calling you, January is the best time to check it out. The big, red desert parks (Moab, Arches, Bryce Canyon) in the southern part of the state aren’t nearly as packed as during the summer and are sometimes covered in a soft blanket of white snow. Further north, there’s Salt Lake City, one of the more underrated cheap vacation spots in America, and just a short day trip to all the big-name ski resorts. And hotels can be a fraction of the cost. Then there’s the Sundance Film Festival in Park City from January 24 through February 3, where Hollywood descends on the beehive state for the most sinful weekend Utah sees all year. For a hidden gem of winter sports, check out Ogden, about 40 minutes from Salt Lake. It’s home to Powder Mountain, an 8,000-acre resort that’s largely overlooked by tourists leaving lift lines short and slopes easy to navigate. The city is also home to the Shooting Star, the oldest continually operating saloon in Utah, and the New World Distillery if you need something to warm you up on the slopes. January is the beginning of summer in Australia, so if you’re looking to head south for the winter, you may as well go all-in. But hey, it’s a big continent, and spots along the northern coast can get treacherous with jellyfish, mosquitoes, and the occasional monsoon. 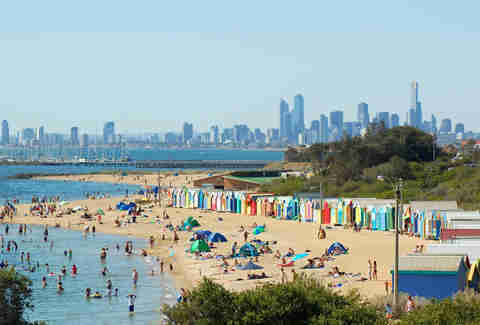 Better to hit Australia’s second city, where the weather is perfect and the holiday tourists have mostly cleared out. Thanks to the favorable climate, Melbourne is home to a slew of outdoor music festivals in January. Starting on January 1, 2019, the Let Them Eat Cake EDM festival hits Werribee Park, followed by the Rainbow Serpent Festival on the 19th. The 26th also happens to be Australia Day, a national holiday that packs in a ton of parades, concerts, and general Aussie mayhem. Trips to Central America can be tricky to time properly. Go in the summer and it’s raining; go for spring break and you’re smack in the middle of Holy Week when nothing is open. But January is the best time to check out this fast-growing destination in Nicaragua; rainfall is scant and the wind dies down so the waves are manageable for beginner surfers. You’ll hit that sweet spot between the holidays and Holy Week when nothing is all that crowded. You can surf, or just watch other people surf if that’s more your speed. The beach that fronts Rancho Santana -- as well as the rest of the coastline -- also plays host sea turtles at the end of their nesting season. 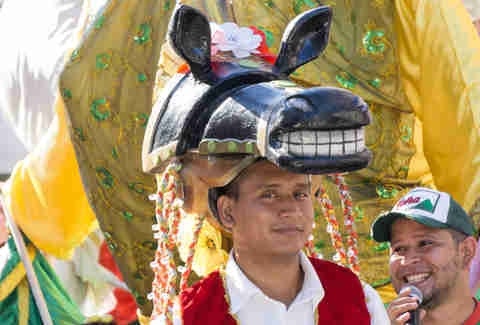 January sees religious and folklore festivals like Diriamba, the feast day for patron saint San Sebastian. You like fancy-pants stuff like truffles and wine? Then get yourself to Eugene in January, amigo, where the Oregon Truffle Festival goes down from January 25-27. Not only will you have a bevy of truffle-themed specialty dinners, cooking classes, and foraging lessons, you can also see truffle dogs compete to see who can unearth the most fungi. If you’re keen on visiting Oregon, then you probably also know it’s got a serious wine country. Eugene is a fantastic jumping off point to the Willamette Valley and its silky pinot noirs, plus the wineries won’t be packed with tourists like they might in the summer. 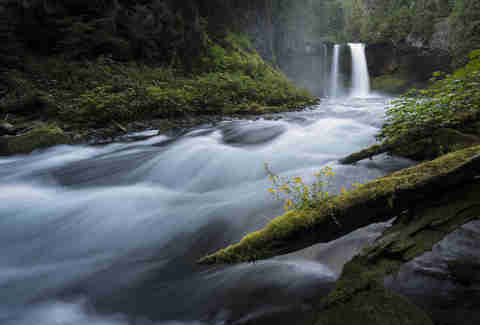 Just outside Eugene, you’ll find a collection of seven spectacular waterfalls, some of which may be frozen over to create an eerie, icy wonderland. Hiking there can be tough, but snowshoeing through the Oregon wilderness on your way to a frozen waterfall is an especially fresh winter experience. 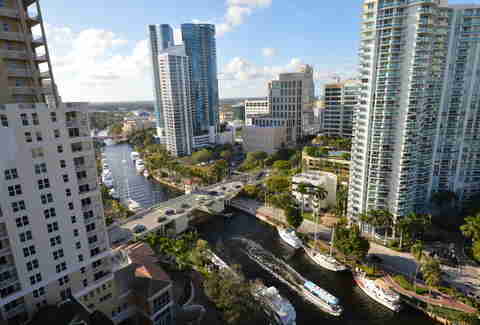 If you’re looking to escape the post-holiday blues, Fort Lauderdale should be in your future. Why here over Miami? The laid-back sailing city north of the 305 is hosting a water-bound art festival called Art Fort Lauderdale, where yachts and water taxis take you from vacant mansion to vacant mansion, each filled with original art and provocative installations. It’s the only American art festival based completely on the water, allowing you to tour the self-styled “Venice of the Americas” in a way few ever do. The beaches still boast perfect weather in January, but are in a short lull between the holidays and spring break. If you’re a hockey fan who can’t get tickets to see your home team, see if they’ve got a road game in Florida, where the Panthers play a few miles west of downtown FTL and have plenty of good seats available. Wrap all that in with the start of live racing season at Gulfstream Park and some of South Florida’s best new restaurants at the Diplomat in Hollywood. And, hey, if you want out, South Beach is just a 35-minute drive away. Planning a trip for a different time of year? Check out our monthly travel recommendations for the best places to travel in February, March, April, June, July, August, September, October, November, and December. Matt Meltzer is a contributing writer for Thrillist who believes everything’s better in Broward. Follow him on Instagram @meltrez1.